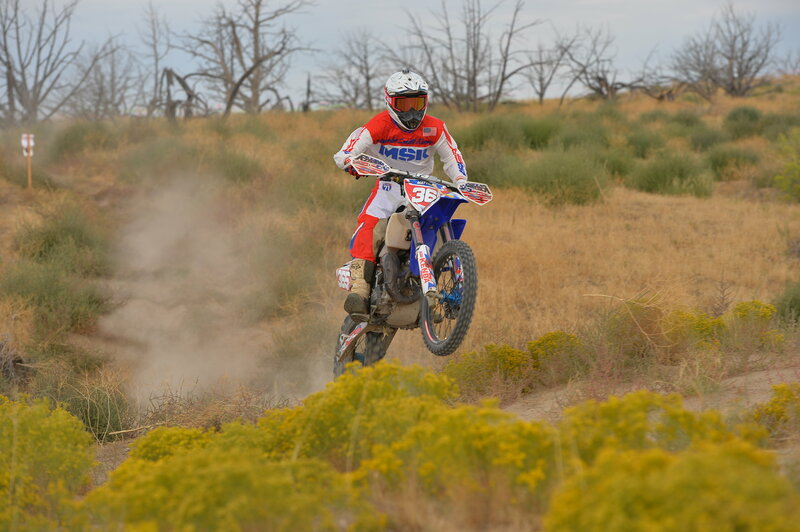 September 11th, 2017: Rain, and prime desert terrain welcomed back racers at Round 8 of the AMA KENDA SRT West Hare Scramble Championship Series in Jericho, Utah. Hosted by the Sage Riders, the silt beds stood no chance against the rain and competitive bunch of racers. 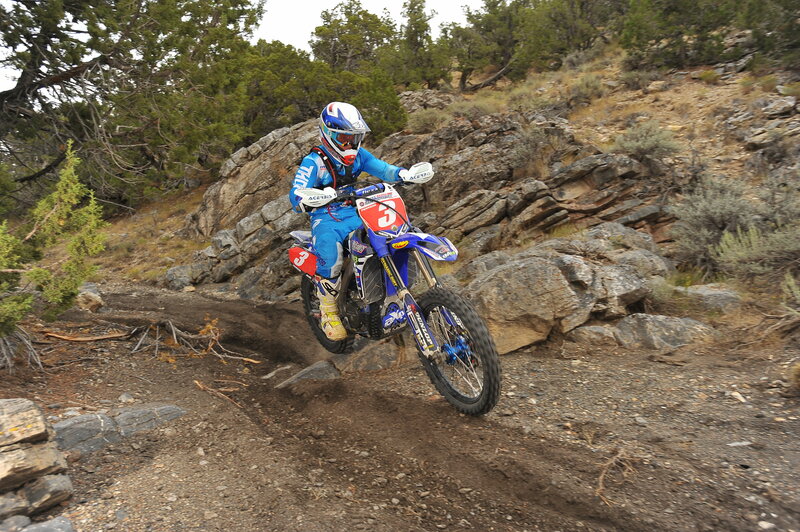 YOUTH: The youth races kicked off first thing in the morning as the first race of the day, the Pee Wee race, saw a win from Ryker Sperry after battling it out in the first lap with Breckin Beard. Breckin took home a 2nd place with Grady Ballow in 3rd. The second race of the day saw the eldest of the youth riders, the Big Wheel class. Mason Matthies held the lead the entire race. being the first to see the checkered flag, with Kyle Kerling behind in a close 2nd! Meanwhile Davin Rhodes, Porter Black, and Heston Wood battled for 3rd. The Big Wheel podium saw Matthies in 1st, Kerling in 2nd, and Wood in 3rd! WOMEN: The Women podium saw a win from Sharon Mowell, with her sister Heather Mowell in 2nd and Bailee Lucas in 3rd. 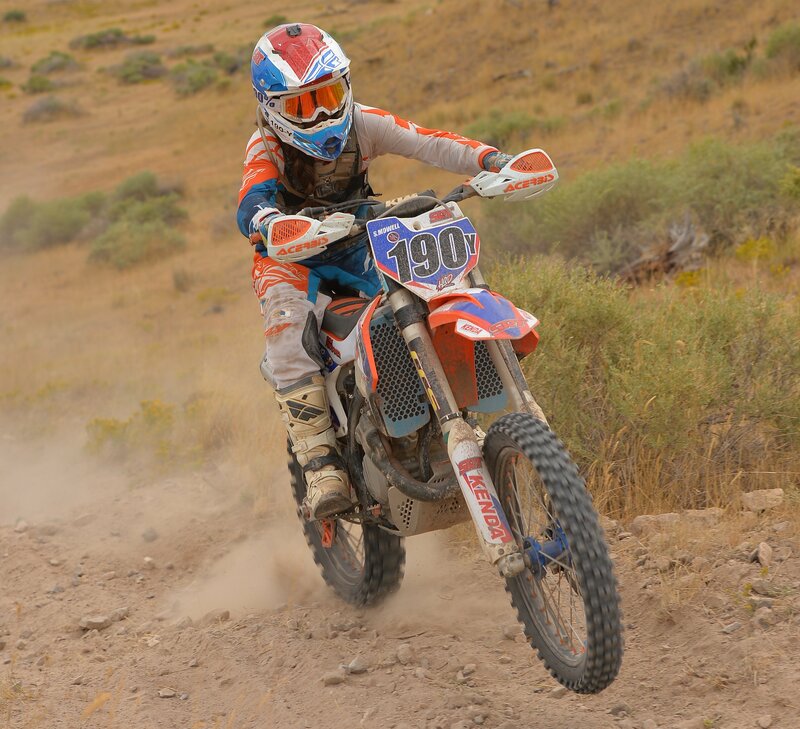 Heather took 3rd off of the start and worked her way up to 2nd on the podium next to 1st place Sharon Mowell. Sharon had an awesome start, taking the holeshot off of the line! She maintained the lead throughout the race, earning her 1st place spot on the podium and also contributing to her place in leading points for the remainder of the season! PRO 250: The Pro 250 podium saw a 1st place from Cole Canaster, 2nd place from Clayton Gerstner, and 3rd place from SRT backed JT Baker! Baker was 3rd off of the start until he ended up in a battle with a few other racers. The switch up between hard packed sand and silt beds, Baker made it back up to 3rd place and held that position for the remainder of the race. Unlike Baker, Clayton Gerstner did not have the best start. Falling back to last place off of the start line, Gerstner was able to make up the time and bump himself up to 2nd place on the podium next to 1st place Cole Canaster. 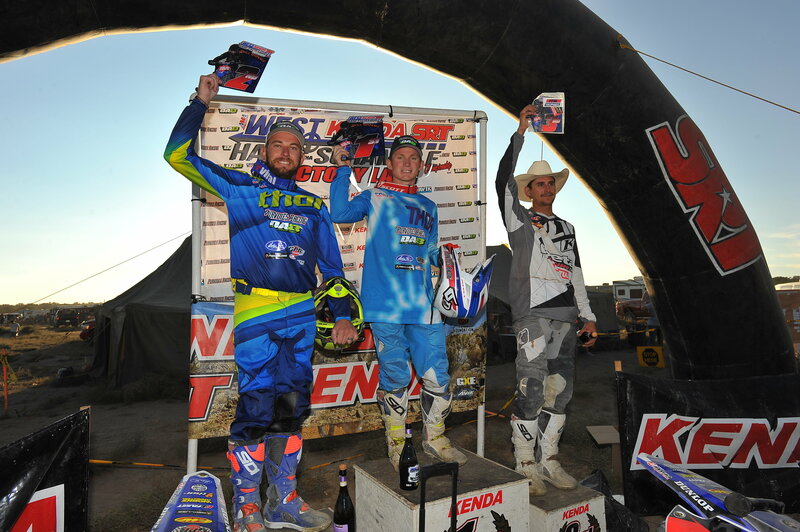 Racing behind Tayson Weeks, Canaster was able to steal the lead and make his mark on the Pro 250 podium! PRO: As for the Pro race, which happened to be the most eventful race of the day, the Pro podium ended up seeing an overall win from Purvines Racing backed Axel Pearson with teammate Nick Burson in a very close 2nd place! Pearson got the holeshot off of the start line and held the lead throughout the course with Burson creeping up close behind! Toughing it out on the brutal course, Burson and Pearson had some well earned spots on the podium. 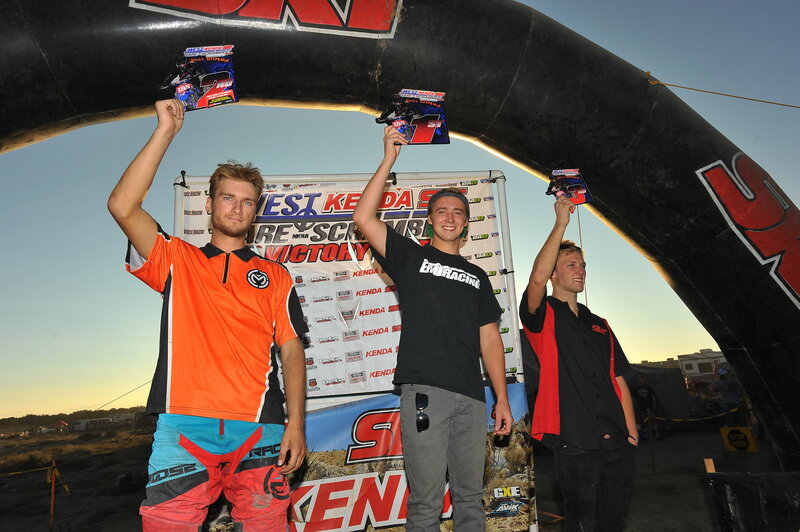 After a series of unexpected events, Beta rider Max Gerston took 3rd place on the Pro Podium. The EnduroCross racer did his best throughout the technical areas like the rocks and trees but came across difficulty in the sand. All in all, each racer earned their place on the podium and put up a battle while doing so. The Sage Riders could not have welcomed back these racers in a better way!